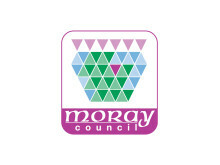 Moray Council’s libraries service is about to launch its annual autumn reading challenge for children, Made In Scotland. Moray Council’s libraries service is urging children to sign up to read six books this summer as part of the Big Friendly Read – this year’s Tesco Bank summer reading challenge. Murder mystery and crime fiction have proved once again to be the most popular book choices by users of Moray Council libraries. Moray Council’s libraries service will be celebrating Book Week Scotland 2015 from November 23 to 29.